Amerikas Savienoto Valstu vēstniecība piektdien 20. janvārī plkst. 10.30 uzaicina vēstures skolotājus uz pasākumu, kurš veltīts Starptautiskajai holokausta piemiņas dienai. Interesentus lūdzam pieteikties, aizpildot pieteikšanās formu, līdz 16.01 plkst. 20.00. Vietu skaits ierobežots. Pasākums notiks angļu valodā. As part of a series of cultural events to commemorate International Holocaust Remembrance Day, the Embassy of the United States of America cordially invites you to a screening of the movie "Not the Last Butterfly". The event will take place on Friday, January 20, 2017 from 10:30 until 13:00. Venue: Š. Dubnova Riga Jewish Secondary School, Miera Street 62, Rīga (entrance from Mēness iela). 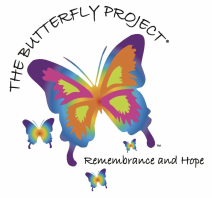 NOT The Last Butterfly tells the inspiring tale of The Butterfly Project, a global education and arts program started in the United States whose mission is to paint and display 1.5 million ceramic butterflies to honor and remember each child killed in the Holocaust. The program will include remarks by H. E. Nancy Bikoff Pettit, The Ambassador of the United States of America, and discussion led by film's director Joseph Fabiszewski and producer and artist Ms. Cheryl Rattner Price.